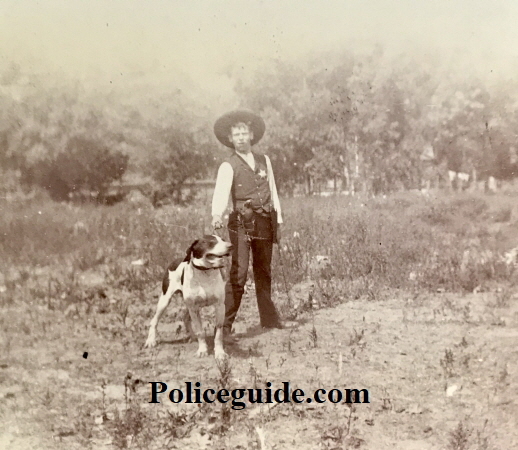 A young J. Walter Mills working as a Imperial County Deputy Sheriff Detective. 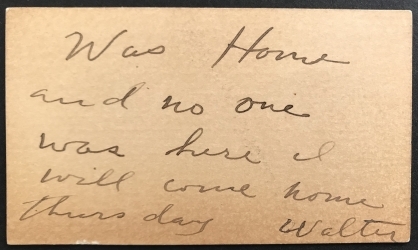 Front and back of Ocean Park business card signed by Walter Mills. 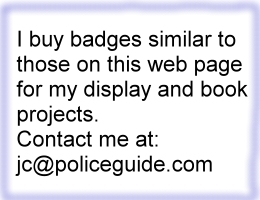 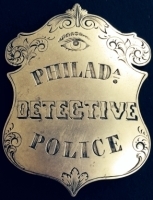 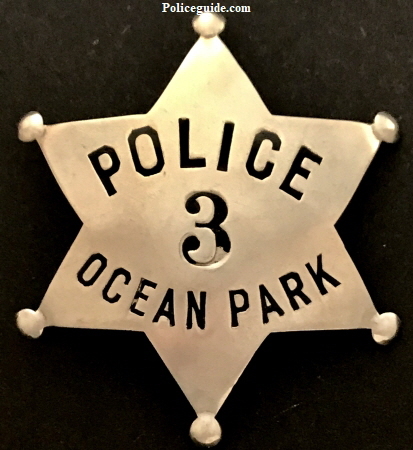 Ocean Park police badge #3 that was worn by J. Walter Mills. 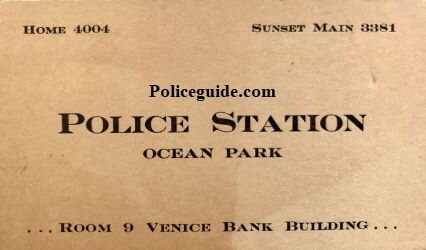 The City of Ocean Park was included in the boundaries of the city of Venice by special election held May 31, 1911. 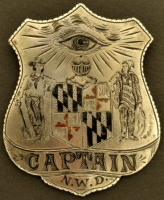 Annexation of the territory August 19, 1911. 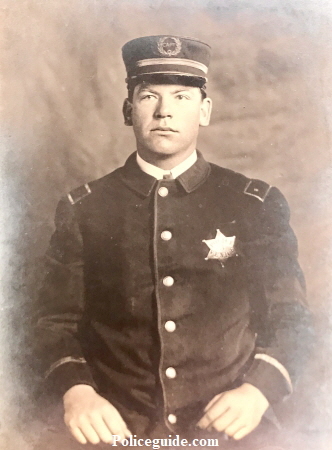 Portrait of J. Walter Mills when he was a Captain with the Venice police, wearing badge #3.